Taylor Lautner is a 2 year old male Cross-Breed. Hey, ‘Taylor Lautner’ here and as you can see I am physically fit and raring to go! 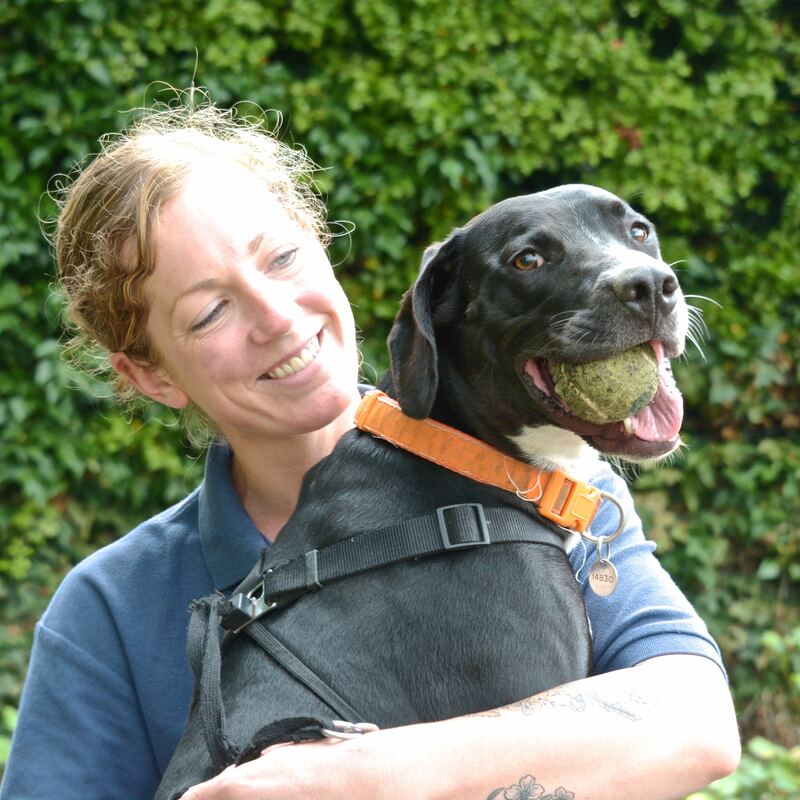 I enjoy an active life whether it be agility, ball games or just running about with my toys so I am seeking that adult life partner who will be my ‘Bella’ who I can protect and stay loyal to. My Kennel mum Laura say’s I am certainly a ladies man, not hard to see why with this body but I have made a few males fiends who I play with and tell me I’m a good boy. Trust me once I know you I will be your best friend! Life has not been easy and I have been upset and hurt in the past and couldn’t understand what I had done wrong. I can be scared of new people and sadly boys it takes me a little longer to feel comfortable with you and be able to trust that you will not hurt me. An owner who has had a dog like me would be perfect please, I just need that time and patience, plus I love those yummy treats that I get! Sadly my head is always in hedgerows and bushes so it wouldn’t be fair for me to live with other animals and my confidence really needs to grow. I do love to be on the road and would be so excited if we could share our holidays together. Quality time within a log cabin would be amazing; just us and the woodland where we can sit in the twilight, paw on hand. I will repay your kindness and understanding with lots of kisses and cuddles forever.